Five years on from Blackie and the Rodeo Kings' issuing their Kings and Queens collaborative release, the Canadian roots crew are ready to drop the script-flipping follow-up, Kings and Kings. 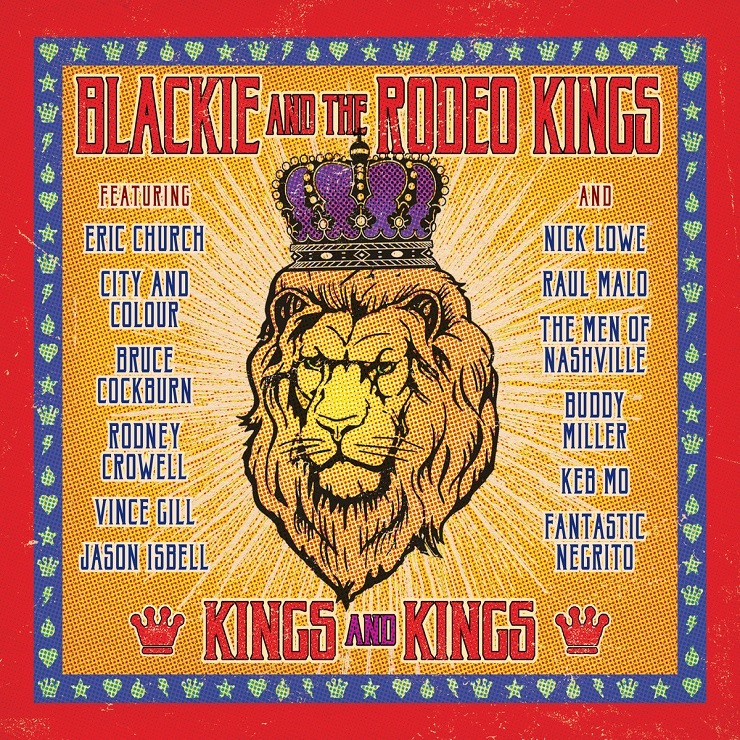 While the Rodeo Kings won't have their latest set out until October 7, you can hear them crooning along with Dallas Green, Rodney Crowell and more right now via an exclusive stream with Exclaim! As previously reported, 2011's Kings and Queens had the band's Tom Wilson, Colin Linden and Stephen Fearing reaching out to Roseanne Cash and Lucinda Williams for a little help. This time around, they're extending the invitation to a number of male contemporaries. This includes City and Colour leader Dallas Green, whose gentle tone was heard complementing Wilson's familiarly gravelly croon on previously teased album track "Beautiful Scars." Elsewhere, Rodney Crowell hops on bittersweet country stomp "Live by the Song," a track about life on the road, while power-pop great Nick Lowe kicks up dust with the Rodeo Kings on the strummed and shuffled "Secret of a Long Lasting Love." Other artists tapped include Bruce Cockburn, Vince Gill, Eric Church and Raul Malo. You'll find a full album stream below, while Kings and Kings will be ready to rule the roost October 7 via File: Under Music.